Marijuana, which has been linked to no overdose deaths and is legal either recreationally or medically in several states, is considered a Schedule I drug by the DEA. This classification is reserved for what the DEA considers the “most dangerous drugs,” which are considered to have no accepted medical use. Among them are heroin, LSD, peyote and ecstasy. Schedule II drugs, which the agency still considers dangerous, though less so, include cocaine, methamphetamine and fentanyl. These drugs are deemed to have legitimate medical uses. Fentanyl, for instance, is a powerful painkiller. It was detected in 99 overdose deaths in Allegheny County last year. Heroin, which can be mixed with fentanyl, was detected in 209 county overdose deaths last year. With little fanfare on Monday, the DEA has said it could make a decision on reclassifying marijuana within three months. The agency’s leadership, however, has not recently signaled much softening of its stance. Opponents of marijuana legalization, including top DEA officials, have argued that there's no hard evidence that proves marijuana has legitimate medical benefits. Chuck Rosenberg, the acting head of the DEA, went so far as to call the idea of medical marijuana a "joke" last November. Rosenberg said then that marijuana should not be called “medicine.” However, in states that allow its use, marijuana has been used to treat conditions such as epilepsy and the side-effects of chemotherapy, according to Vice. As the Vice story notes, the Schedule I classification makes researching marijuana difficult for scientists to study any potential health benefits or dangers. In Pennsylvania, a bill to allow limited use of medical marijuana is awaiting final approval by state lawmakers. The bill does not allow recreational use of the drug and only allows medical usage in oil, liquid or pill form. Parents of children with conditions that cause seizures have been pushing for legalization of medical marijuana. 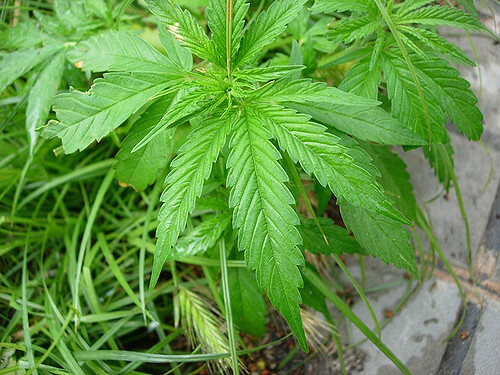 The Pittsburgh City Council this week voted to reduce penalties for possessing small amounts of marijuana from a misdemeanor to a summary offense. A criminal record would list a violation of “certain defined conduct” rather than a marijuana offense. State law says possession is a misdemeanor (or a felony for large quantities); penalties increase based on quantity and can include prison time. While states such as Colorado and Washington have fully legalized marijuana use, possession and distribution is still a federal crime. According to Vice, the Food and Drug Administration [FDA] has provided the DEA with an analysis of the safety and possible medical use of marijuana, along with its recommendation on any reclassifying. However, what the FDA actually recommends is not publicly known. The DEA has considered marijuana’s status several times previously. The DEA has not been friendly to the idea of rescheduling the drug in the past. The agency evaluated two petitions in 2001 and 2006, but ultimately decided to keep the drug as in the Schedule I category. Another petition was denied in 2011. For more information on how the government considers marijuana more dangerous than cocaine and methamphetamine and alcohol, this Vox video offers some comparisons. Should police stop deadly overdoses? Enthusiasm varies. VIDEO Pittsburgh police will soon carry a potent, yet simple nasal spray that can bring a person suffering an opioid overdose back from the brink of death and without a high. Yet other police in the state and region have been hesitant, either saying they don’t need the antidote, or that training and the creation of new policies has slowed the process by months. One out of every 11 organ donors is a person who has died from a drug overdose. This statistic is according to new government data reported by The Washington Post. The trend is a combination of rising drug-related deaths and efforts by advocates to spread the message of organ donation to more communities, even marginalized ones, according to the article.